What is the easiest method to unblock your chakras? In Balance & Tone Your Chakras, Becca Chopra and Hawaiian healer, Serge Kahili King, Ph.D., demonstrate DYNAMIND, an "Instant Energy Healing" tool, that you can use to relieve stress, pain and symptoms that can be associated with imbalanced chakras. 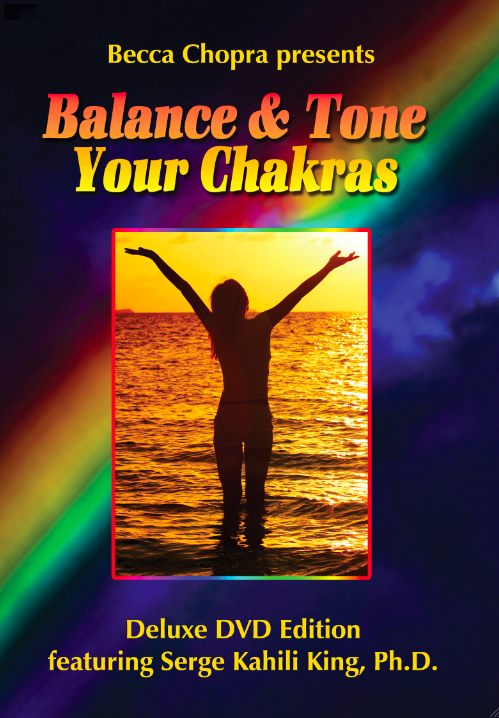 You'll then learn DYNAMIND TONERS to KEEP your chakras and your life in balance, profoundly affecting your financial security, love life, self-esteem, relationships, self-expression, intuition and inspiration. Watch it for FREE, and if you'd like this info in book form, download Balance Your Chakras, Balance Your Life from Amazon.